According to recent reports and rumors, the head coach of Liverpool, Jurgen Klopp will be given a budget of around £100 million in order for the German manager to prepare for the upcoming summer transfer window which is scheduled to open on July 1st. This summer budget is likely to be increased even further taking into consideration all of the players that are expected to leave Anfield at the end of the season. The list of players that might be seeing their way out of Liverpool within the upcoming few months includes the likes of: Mamadou Sakho, Daniel Sturridge, Lazar Markovic, Lucas Leiva, Alberto Moreno and Kevin Stewart. All of those previously mentioned players have either developed an unhealthy relationship with Jurgen Klopp or have not been getting any significant amount of playing time with the 1st team and this is why they are being rumored on being offloaded in the near future. If all or even some of these players do indeed get sold then it can significantly increase the budget that Jurgen Klopp will have for the summer transfer window and help the German manager in his quest of improving the quality and amount of players that he can sign. 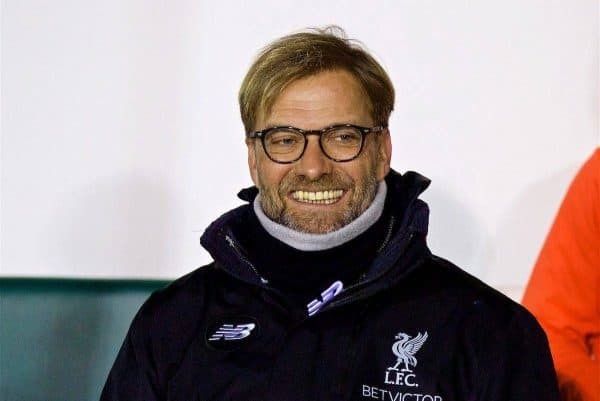 Antoine Griezmann, Sessegnon, Henry Onyekuru, Alexandre Lacazette and Virgil van Dijk are a few of the players that have been linked to have entered the radar of Jurgen Klopp and that might be joining Liverpool. Liverpool started off the 2016-17 season of the Premier League in a rather impressive fashion as they claimed victories over highly rated clubs including: Arsenal, Leicester City and Chelsea. As the season progressed on, Liverpool lost their pace with various matches ending up in defeats and points dropped but they have still managed to stay in the top 5 spots of the Premier League as Jurgen Klopp and his men continue their journey of snatching a UEFA Champions League qualifying spot for the upcoming season.